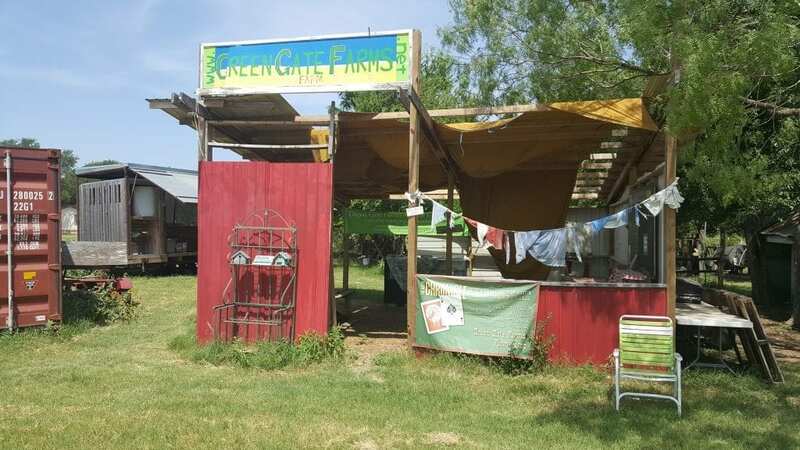 Here’s a picture of the on-site farm stand, sitting between the children’s educational garden and the storage shipping container and mobile farm trailer! 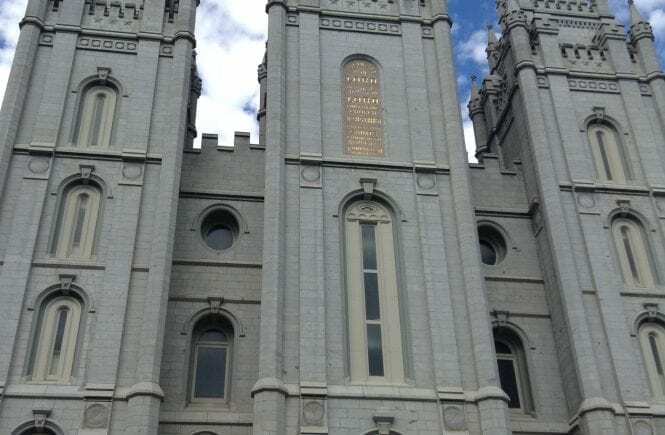 I waited around a bit because the tour hours said I was there on time, but no one else was around. A few minutes later, one of the CSA-members, Phillip, stopped by to pick up his farm groceries. I asked if he knew where everyone was, so he called the farm managers and let me know the tour hours were outdated on the specific webpage I was looking at after he contacted the owners. 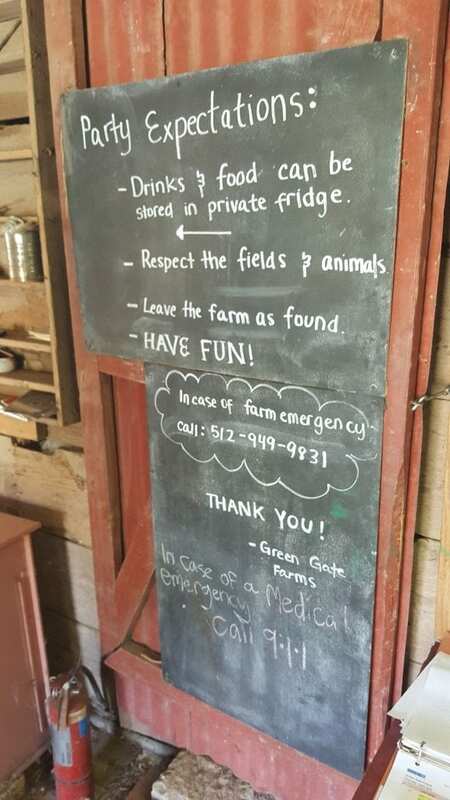 Instead, he offered to show me around the farm, since he had experience volunteering on the farm and was a regular for grocery pick-up. 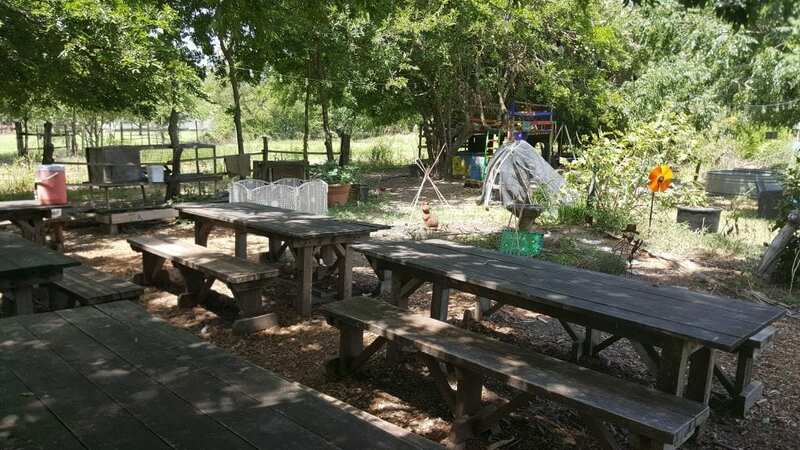 So we rounded the big red barn to the children’s education center – which featured a treehouse, animal hutches, some experimental garden beds, and several picnic tables for the children to sit at for outdoor classes. Across from the children’s educational center and behind the big red barn are some of the on-site produce fields, which were dormant for the season. There are also canvas covered shade areas for outdoor learning spaces, for classes and field trips! 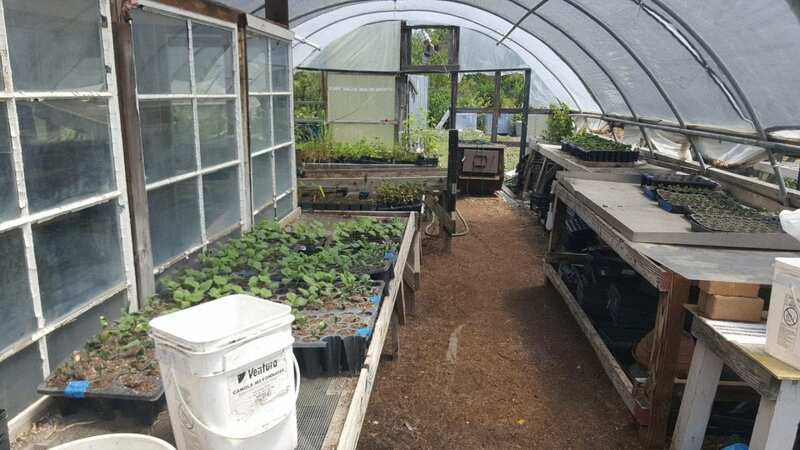 The on-site greenhouse wasn’t in full production during the summer months, but there were several palates of plants being started for the upcoming planting season. 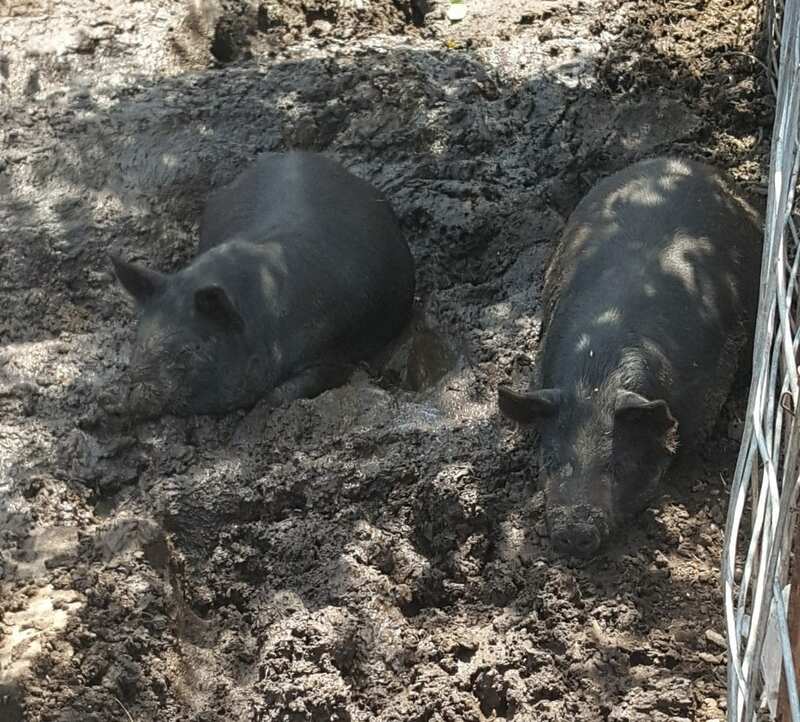 There are also several livestock animals kept on the property, including these young pigs! 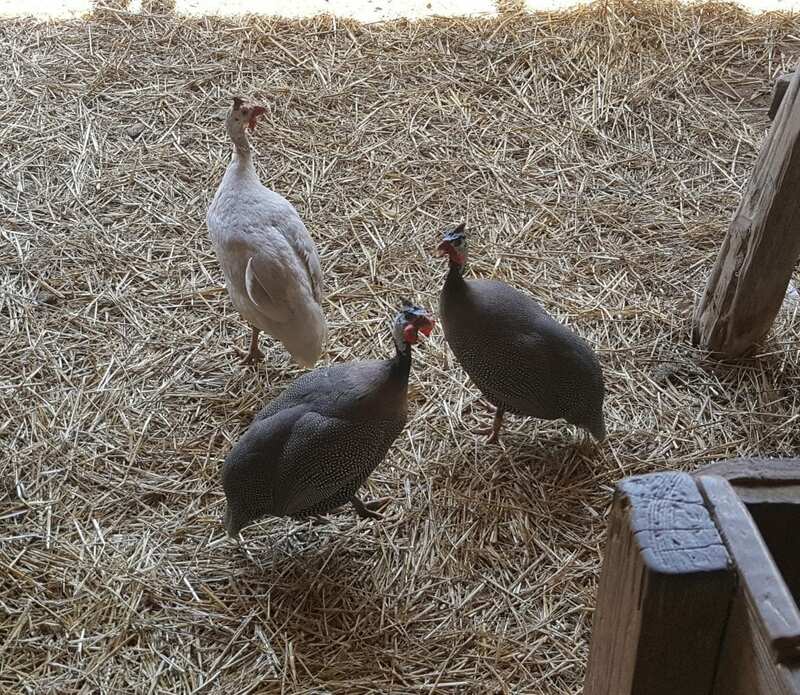 As well as a few goats, and guinea fowl like the few pictured below! 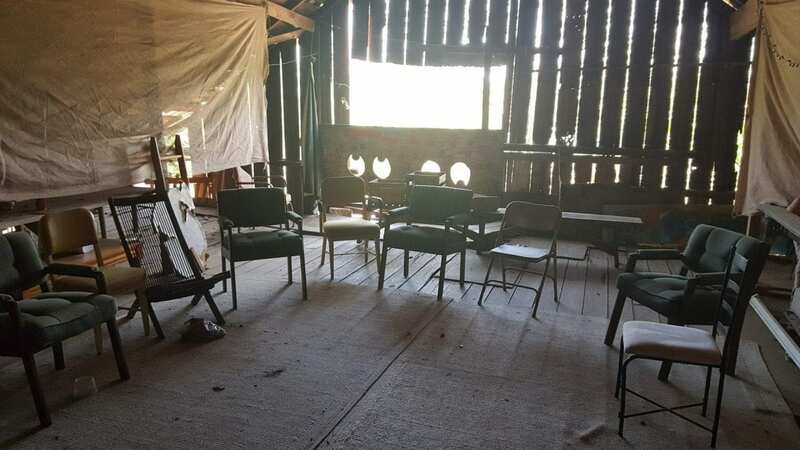 Upstairs in the big red barn is the indoor classroom which also serves as an event hall space for community events and work parties! What’s a party without a few guidelines? Phillip picked up his milk and eggs from the storage freezer as we finished up the tour and walked toward the parking lot. 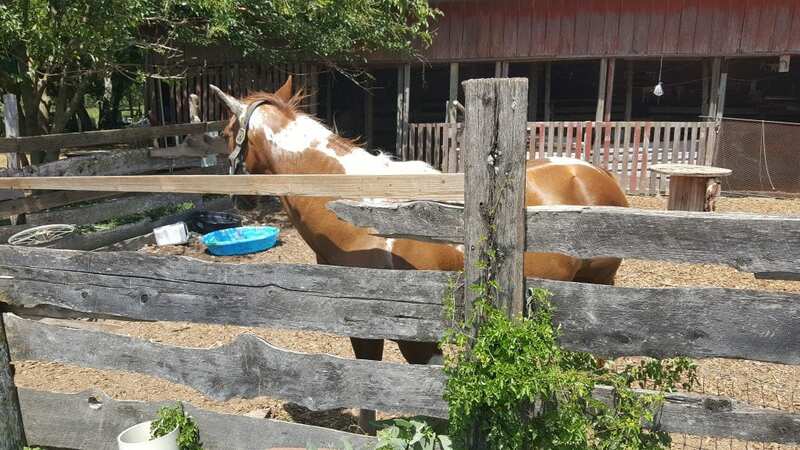 He told me that the horse likes to bite, which I figured out first hand when I initially arrived and tried to pet him when he came up to me! 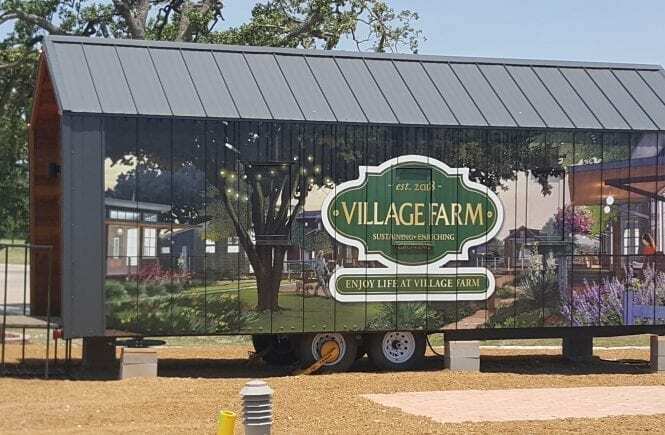 After Green Gate Farms, I headed across the street to check out the Village Farm tiny house community. 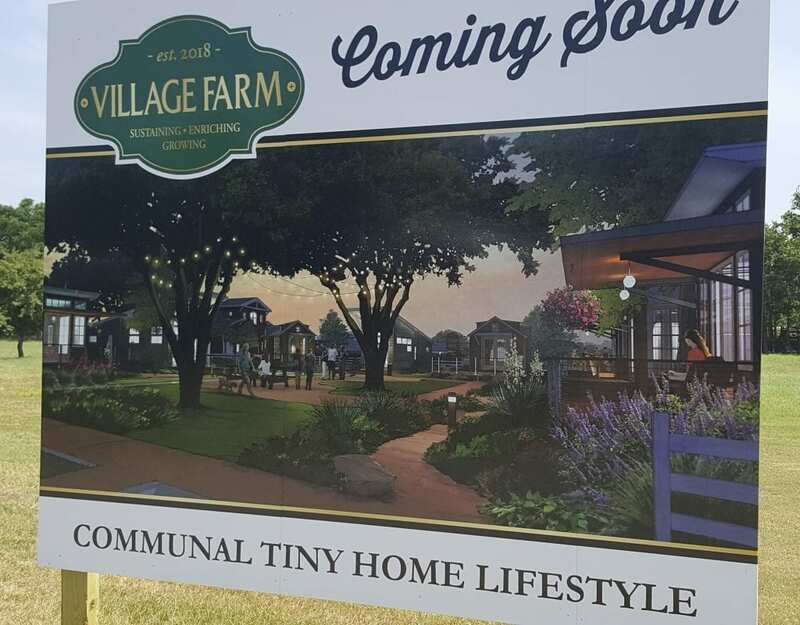 From what I saw, it looks like an RV park that is being phased into a Tiny House community, similar to a more recent term – agrihood, or an ecovillage. “Village Farm features an initial phase of 40 home lots, and an additional 112 in phase 2. Amenities include a general store and cafe, community kitchen, pathways and sidewalks connect homes, farms, gardens, a school, neighborhood pocket parks and commercial areas into a seamless network reminiscent of a traditional village. 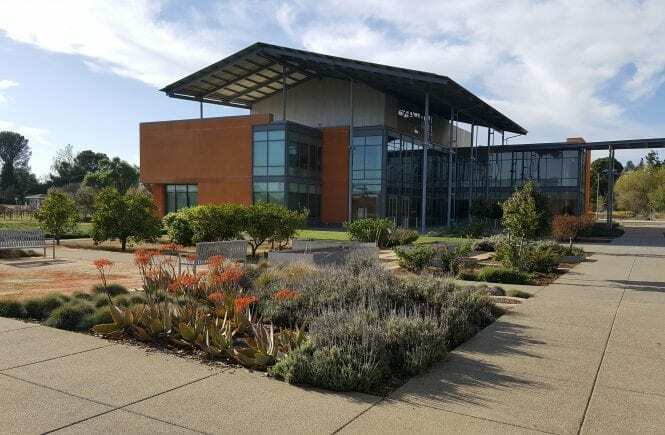 A wide variety of activities and events, including pop-up restaurant nights, a weekly farmers market and cooking classes for kids and adults, foster community engagement and connectivity among residents. 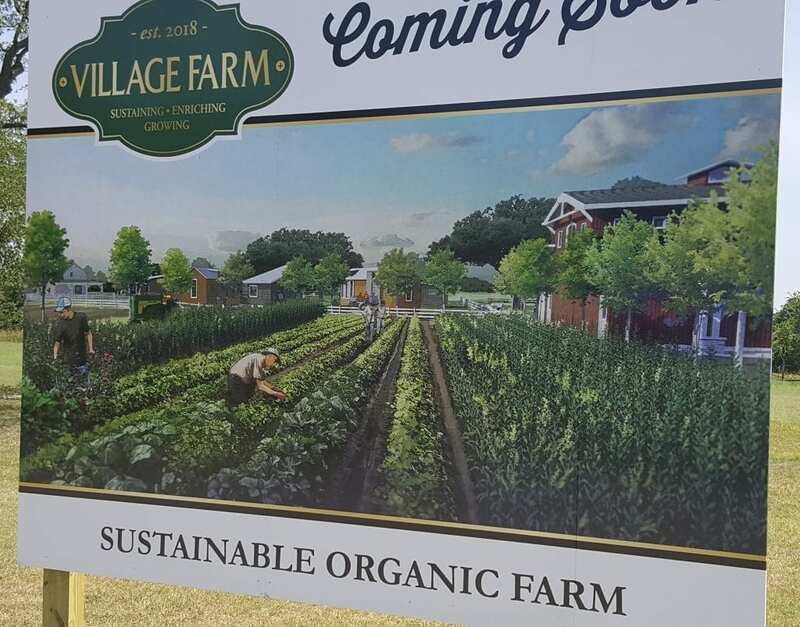 These are some of the free-standing rendering displays that show future amenities for the community, like a community center with outdoor amphitheater, shared common courtyards and an on-site organic farm for residents! 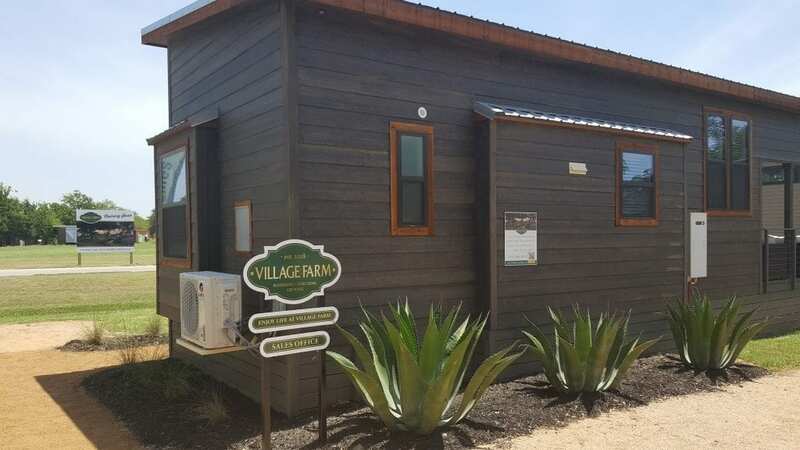 These are some of the tiny home models in various styles that prospective residents can tour. We've got four beautiful homes that are in place, utilities set, and interior decorations are done. 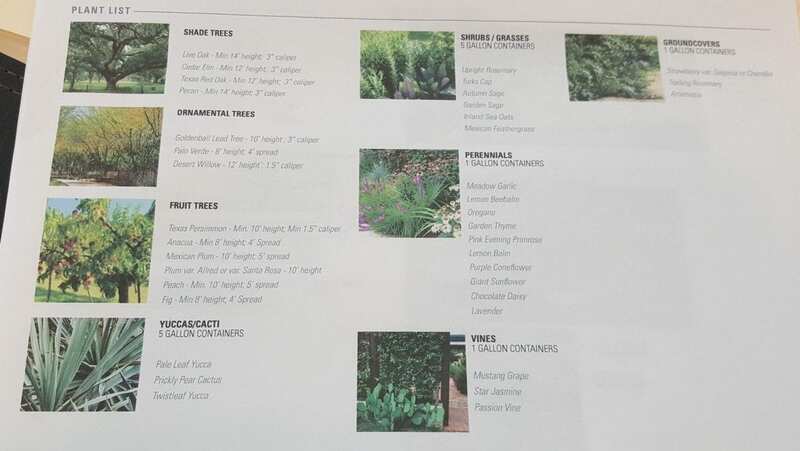 We are preparing now to work on the landscape and really showcase the beauty of living at Village Farm. In case you do want to visit, this is the hours of operation sign outside the main tiny house office! 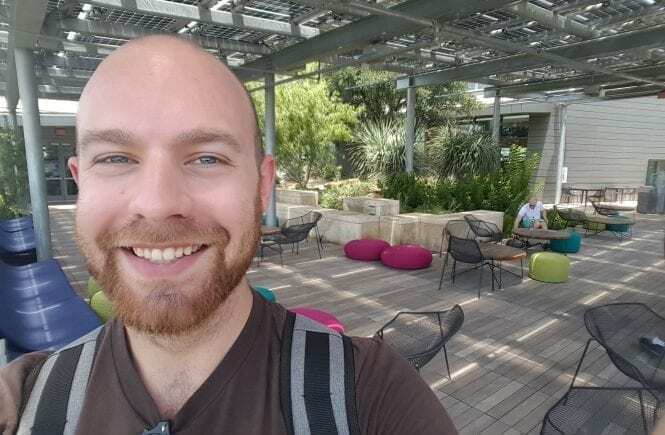 While I didn’t get an official tour of Green Gate Farms, I really enjoyed an ‘unofficial official’ tour from my new friend Phillip. 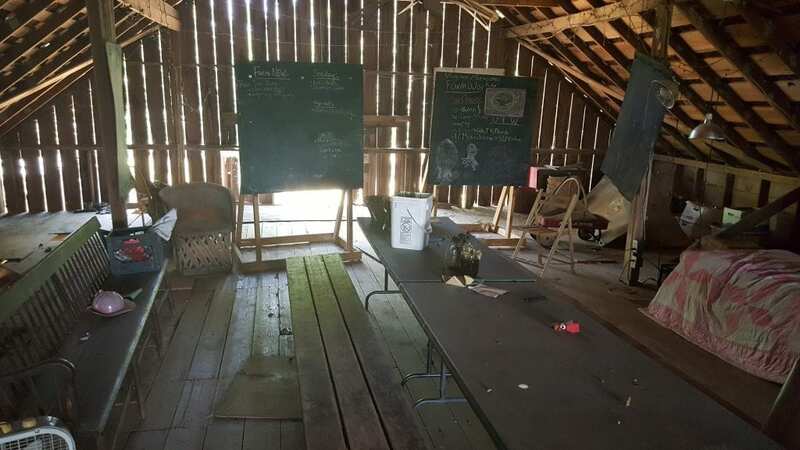 The farm looks like it’s a great location for education, but otherwise there appeared to be little activity. Maybe I visited in an off season? 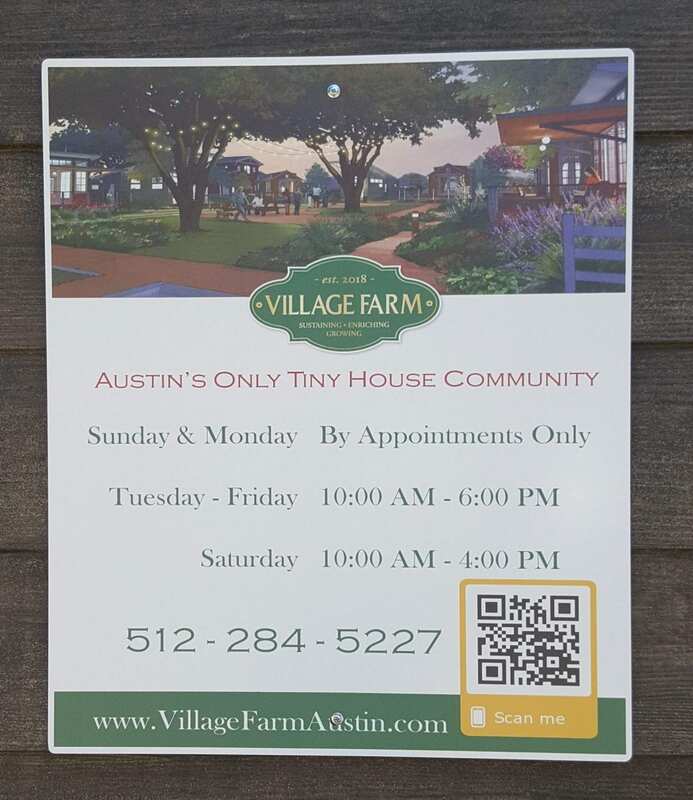 The hidden gem across the street, Village Farm, was by far the most impressive of the two stops – seeing the direction Austin is going with housing to accommodate their ever growing population, who wants more than just standardized, cookie-cutter housing developments, but a sense of community built on sustainability and progressive ideals yet conservative consumerism lifestyles. 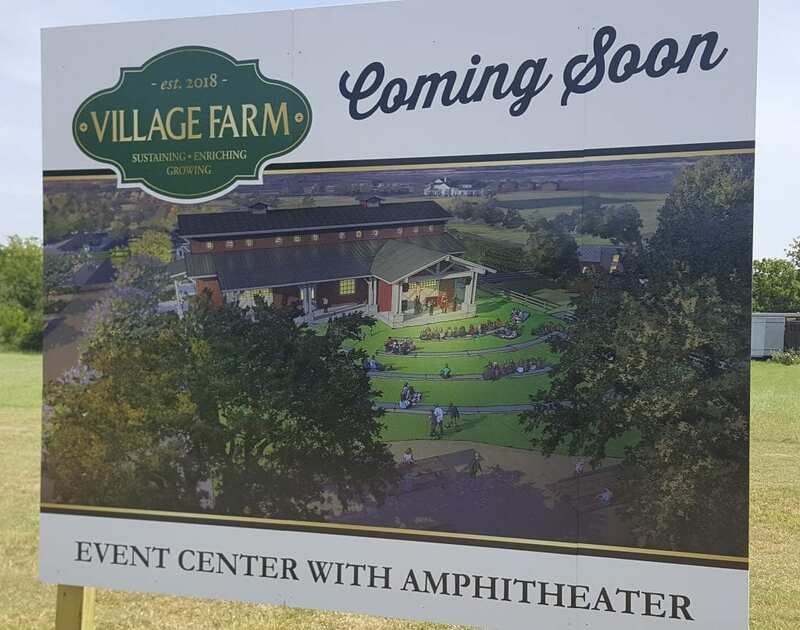 I also learned that the owner of the Village Farm property also owns the Green Gate Farm property, and there are plans to use the farm land for the community – potentially removing all traces of the current farm/business. So seeing how that dynamic plays out will also be interesting to see.